Not without a little controversy and a few ruffled horological feathers, the Linde Werdelin Spidospeed Chronograph was introduced to an impatiently waiting watch world at Baselworld in March 2011. The SpidoSpeed Chronograph dial, with strong design cues lent from both the Spidolite and the car industry, has been constructed in two parts, adding depth to the face. By using different colours and patterns on the dial, Linde Werdelin wanted to stress the strong connection to the racing car industry. This can be witnessed by the multi layered subdials made to resemble the brake discs of racing cars, the material used on the dials harks back to the dashboards of racing cars in the 1940s and the strap with punched holes takes its design cue from driving gloves. 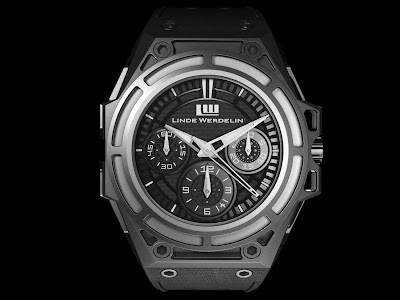 It took Linde Werdelin two years to design and produce the SpidoSpeed Chronograph, the complex case construction taking up the most time. Co founder and Creative Director Morten Linde wanted a fully 3 dimensional effect from all angles and as a result the skeletonised case consists of no less than 32 components. The SpidoSpeed also has a cylindrical chamber inside the imposing 44mm case, which locks on the case-back and is water resistant up to 100 metres. 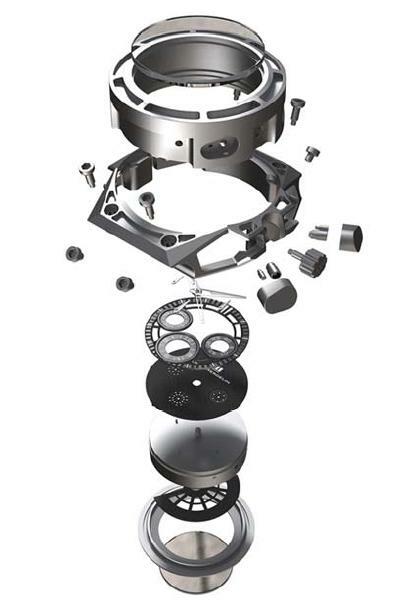 The height of the case is 15mm, 3mm more than the SpidoLite, allowing space for the chronograph pushers to be incorporated. The chronograph pushers are hidden at 2 and 4 o’clock position on the side of the case. The SpidoSpeed is powered by a Concepto movement (calibre 2251) which is partially visible through the sapphire crystal case-back. 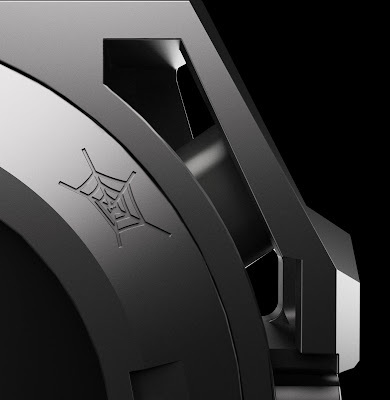 It also has a themed rotor to tie in with the look of the SpidoSpeed case. ‘All three versions of the Spidospeed will be a limited edition numbered series starting with A of 100 pieces.’ explains Jorn Werdelin. US$17,000, $17,953 and $24,000 respectively. 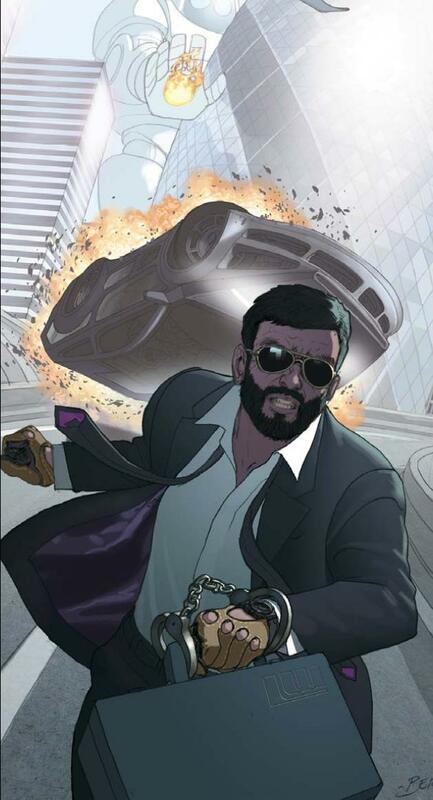 This is where some of the controversy has crept in. Some forum pundits have complained that for a non in-house movement it’s overpriced even though in fairness, for the third time in LW's history, they went to a premiere third-party movement manufacture to have the calibre created specifically for them. Since the unveiling at BaselWorld earlier this year, the SpidoSpeed Chronograph has updated its pushers making it easier to push at the right angle ensuring much better functionality of the chronograph. 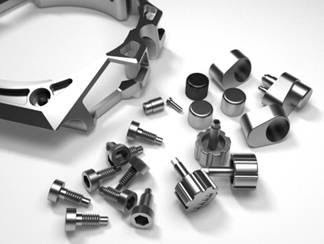 The construction of the SpidoSpeed case required a special pusher system to be constructed, one that would allow pushers to sit further on the case and also allow the clip-on of the instruments. And here they are. Don't care too much for the redesigned pushers at all. They appear to be an after-thought and no longer flow with the design of the case.